The Surat-based couple did incorporate a bit of the old with the new. Every couple would like their wedding to be the best and most memorable, and everything to be as unique as possible. 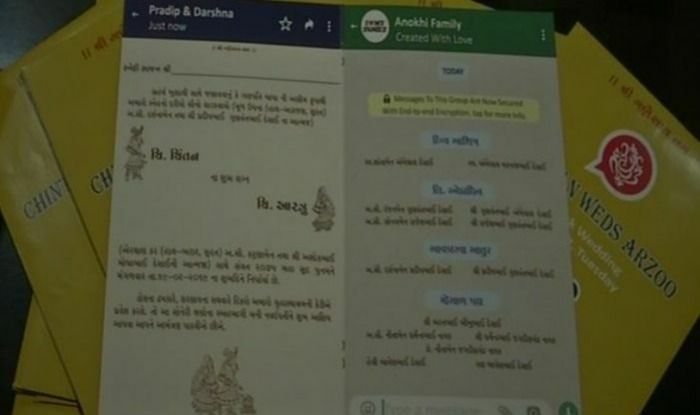 Some would even like to move away from tradition and do something different, like the Gujarati couple, who got creative and came up with an invitation card that was along the lines of a WhatsApp message. The couple, Aarzoo and Chintan Desai, wanted to do away with the old patterns that are usually used for wedding cards, and design something that has never been done before. 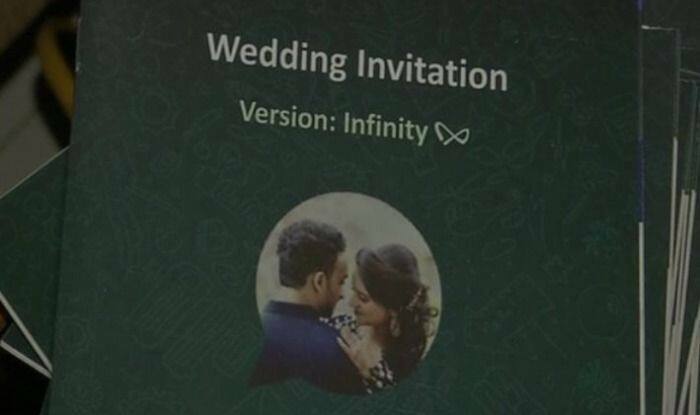 According to ANI, Chintan, who is a web designer by profession, designed the four-page WhatsApp inspired invitation card after his fiancee came up with the idea, and it took him about a week to design the whole card. 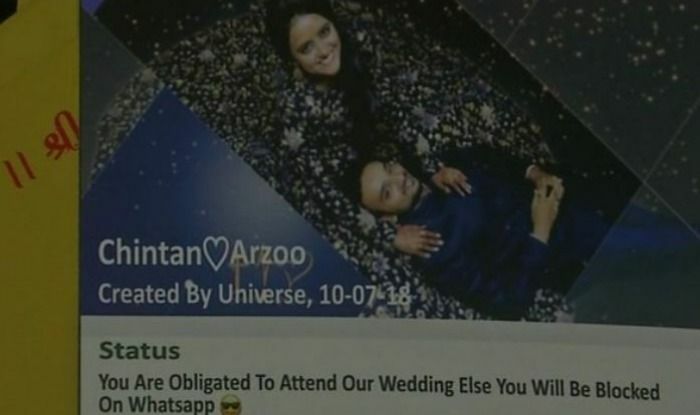 The first picture showed the couple and below was written, “STATUS: You Are Obligated To Attend Our Wedding Else You Will Be Blocked On WhatsApp”. Inside, the card opens up to two pages announcing the nuptials the way messages on WhatsApp are written and read. 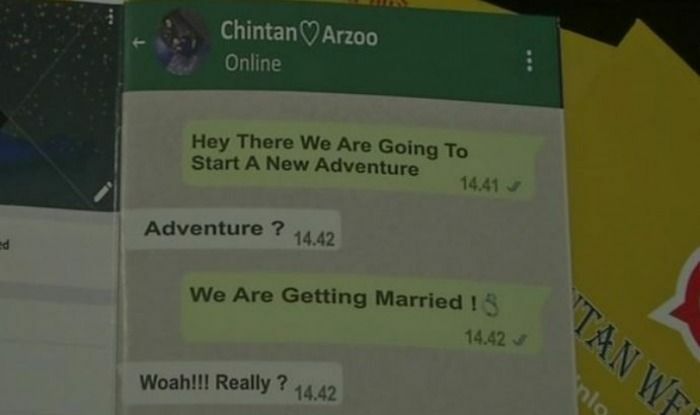 Another part of the invitation card had a message written by Aarzoo and Chintan, to let people know that they are getting married. 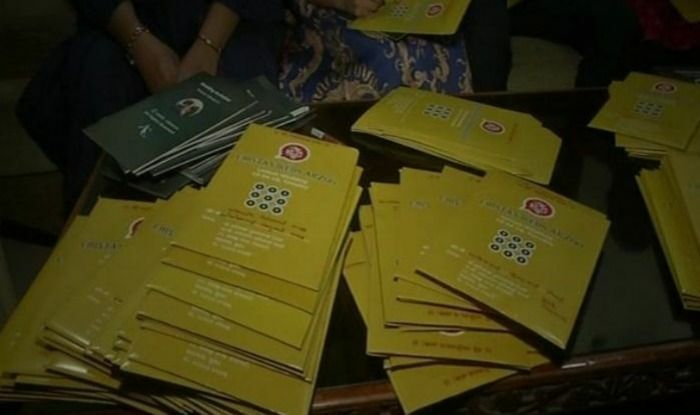 And the cards were put in mustard coloured envelopes, which had “Unlock Invitation” written on them. The bride and groom had come up with the idea, and they later roped in their families too. Aarzoo explained that they did incorporate a bit of the old in the new. “In place of the WhatsApp logo, we used Ganesh Ji’s photo, which gives a traditional touch to our invitation,” said Aarzoo. Both families are happy with the end-product and the couple is all set to get hitched in February.